My only plan is aligning with the same eternal heart of God that we see since the beginning of Genesis. That all nations may know God’s salvation. We are blessed by God in order to bless others. Who should give to Global Outreach? 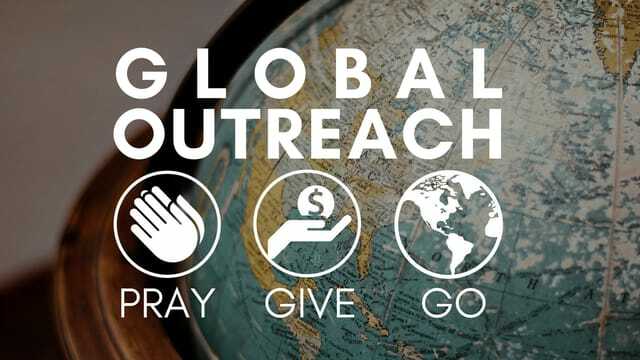 Why Give to Global Outreach? and be supported by other women. 6:00PM We inform our members of the financial position of the church and of decisions made by the Council of Elders the previous calendar year. Affirmation of two new elders: Gilbert Velez and Brendan McKirchy.